Looking for a Sammamish limo company you can rely on to make any occasion special? Then look no further than White Glove Limousine! Sammamish and the surrounding area have trusted us since 1992 to deliver exceptional luxury and unbeatable service all at an affordable price. From the initial reservation up through your final destination, our team of professionals will treat you right. After all, we weren’t named by Business Weekly as one of the Seattle area’s best rides for nothing! At present we have an impressive fleet of vehicles to suit just about any occasion. Our vehicles range from simple yet elegant sedans, luxuriously designed stretch limos, and well-appointed “party rides” that seat up to twenty. Our staff of drivers has grown as well, although we still maintain the strictest standards in that regard, hiring only the best, safest, and most courteous chauffeurs for our vehicles. And our list of loyal clientele has grown, too, which stands as a testament to the one thing that hasn’t changed over time: Our commitment to providing you with the best possible service at the best possible prices. Customer satisfaction remains our number one priority, and we remain dedicated to offering every person for every occasion the chance to ride in the lap of luxury. That’s the key which distinguishes White Glove from other Sammamish limo companies. Whether you’re looking for a night on the town or a trip out town, whatever the occasion, large or small, why not give us a call. 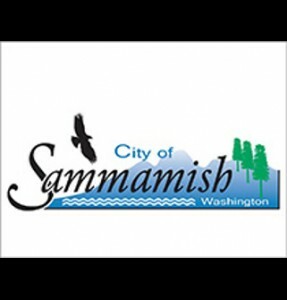 Sammamish is not just a place we do business–it is our home. Consequently, you can rest assured that we will do everything we can to exceed your expectations! Why not call or click today to try one of our fine luxury vehicles? We’re looking forward to serving you!